Currently we offer a variety of activities including tours, instruction, rentals, and kids' day camps! DESCRIPTION: Enjoy learning basic techniques while paddling down the Potomac River. This downstream adventure lets you cover more ground and take in more nature without having to fight the current! 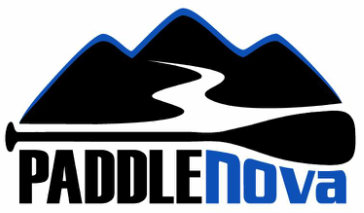 Groups will meet at our paddling destination and Paddle Nova will provide transportation to our starting point. Please arrive 15 minutes before your scheduled activity. Children ages 4-8 may accompany an adult on their board for SUP or Kayak tours (Tandem kayak spaces are limited- Please book in advance!). Our fun and knowledgeable guides will provide all of the necessary equipment to provide a safe, fun, and memorable experience. All guides are current in CPR and First Aid certifications. Please Check our calendar for upcoming downstream tours. LOCATIONS: Starts at: Kephart Bridge Landing and ends at: Algonkian Regional Park, property of NOVA Parks. * Minimum of 4 guests required to conduct a tour; Paddle Nova may contact you 24 hours prior to tour departure to reschedule if guest minimum is not reached. * Paddle Nova reserves the right to reschedule/cancel any watersport activity due to inclement weather, water safety levels, or any other condition which may compromise the safety of our guests. DESCRIPTION: Combine two fun activities that will challenge your focus, balance and core strength. Whether you are a beginner or an experienced yogi, our SUP Yoga class provides the perfect environment to relax and have fun out in nature while deepening your yoga practice. No experience is necessary; However, participants for this course must be able to swim. Morning and Evening classes are available. Please Check our calendar for upcoming classes or contact us to request a private class. * Minimum of 5 participants required to conduct a class; Paddle Nova may contact you 24 hours prior to class time to reschedule if guest minimum is not reached. DESCRIPTION: Learn basic paddling techniques while getting great exercise and spending time outdoors! Our SUP & Kayak tours provide fun for the whole family in a small group setting. Children ages 4-8 may accompany an adult on their board for SUP or Kayak tours. Our fun and knowledgeable guides will provide all of the necessary equipment. All guides are current in CPR and First Aid certifications. Please Check our calendar for upcoming tours or contact us to request a private tour. DESCRIPTION: This session is perfect for the group that wants the freedom to design their own excursion! Choose your site, tour length, date/time, and number of guests. Our fun and knowledgeable guides will provide all of the necessary equipment to provide a safe, fun, and memorable experience for your group! Contact us to design your private SUP adventure. LOCATIONS: Algonkian Regional Park, property of NOVA Parks. White's Ford Regional Park, property of NOVA Parks. Point of Rocks. DESCRIPTION: Learn basic to advance SUP and kayak strokes and rescue techniques from an ACA certified instructor. Whether you are completely new to paddling or have some previous experience, this classes will teach you the necessary skills to keep you confident and safe on the water! Both of our instruction locations provide a safe and calm environment to practice skills in a small group setting. Contact us as availability for this course is limited. LOCATIONS: Algonkian Regional Park, property of NOVA Parks. Paddle Nova reserves the right to reschedule/cancel any watersport activity due to inclement weather, water safety levels, or any other condition which may compromise the safety of our guests. DESCRIPTION: Our summer paddling sessions for kids provide a safe and fun environment to learn paddling techniques while getting great exercise and spending time with peers outdoors! This downstream adventure lets your kids cover more ground and take in more nature without having to fight the current! Parents will drop their child/children off at our starting point and will meet us downstream at our destination. Our fun and knowledgeable instructors will provide all of the necessary equipment along with drinks and light snacks. All guides are current in CPR and First Aid certifications. Please Check our calendar for upcoming camps or contact us to request a private camp. LOCATION: Starts at: Kephart Bridge Landing and ends at: Algonkian Regional Park, property of NOVA Parks. * Minimum of 4 kids required to conduct the day camp; Paddle Nova may contact you 24 hours prior to scheduled camp day to reschedule if guest minimum is not reached. DESCRIPTION: Have SUP or Kayak experience and just feel like getting out on the water? We can drop off and pick up boards and kayaks at the location for 4 hour & 2 hour rentals. We will transport and clean the equipment, so you get all of the fun and none of the mess! Contact us for availability as we have a limited number of boards/boats. * Tandem kayaks available. * Minimum of 2 board/kayak rental for drop-off; subject to availability. No "On Site" rentals are available at the moment. Book your rental 24 hours ahead of time.